It is with great sadness that we announce the passing of Glenna Evans (4th year Visual Arts). Glenna, a competitive longboarder (skateboarder), passed away Friday July 9th, as a result of a longboarding accident in North Vancouver. 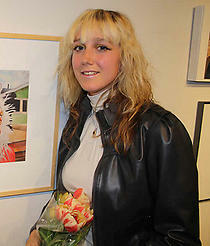 She was an exceptional student who had a passion for the arts, a love of life and a commitment to her local community.